The rise of Hi-end basics. That's what I've noticed from the past few seasons. There is an ardent need to meet basic pieces with non-conventional fabrics (pvc, neoprene, foil) . Maybe that is why the athletic chic uniform is everywhere. It's the perfect exemplar of ameliorating a mundane feel into something runway slash hi-street . Lady Gaga and the avant garde spirit has.. spirited away I guess. 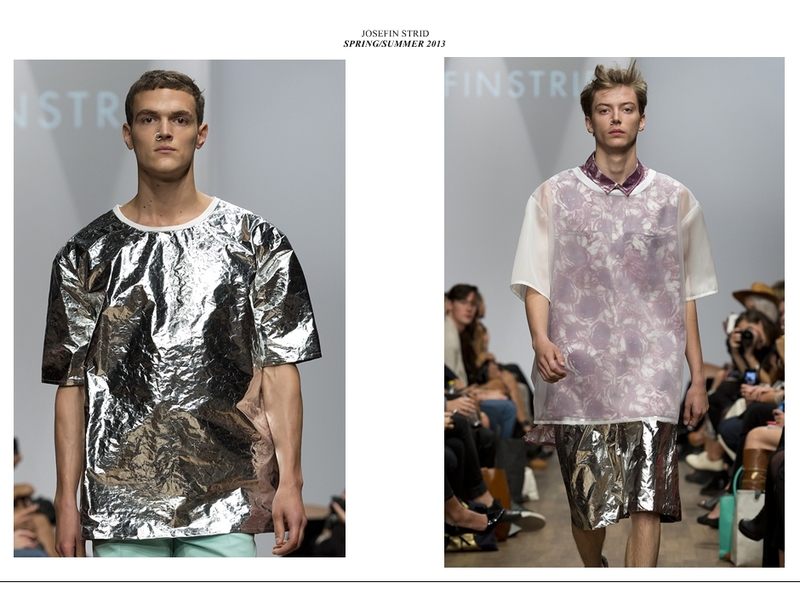 I can't get enough of Josefin Strid's take on silver. 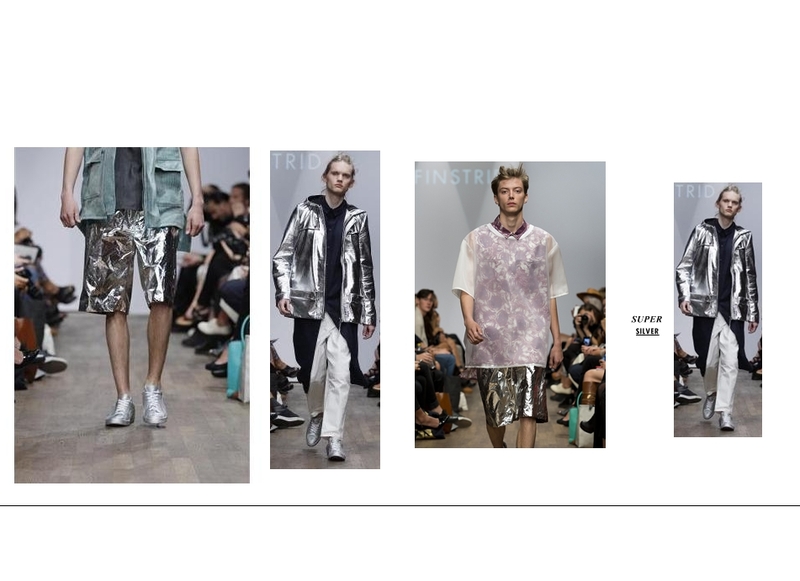 Mixing the distorted crumpled foil with spring green and rose/blush perfected his Stockholm-chic ethos. I am too seeing this hi-end basics thing...well I think is great..in some sort of way this are interesting pieces that suddenly become your regular closet...its actually a very intelligent strategy fashion wise.